Neamț ([ne̯amt͡s]) is a county (județ) of Romania, in the historic region of Moldavia, with the county seat at Piatra Neamț. In 2011, it had a population of 470,766 and a population density of 80/km². This county has an area of 5,896 km². The relief decreases from west to east. 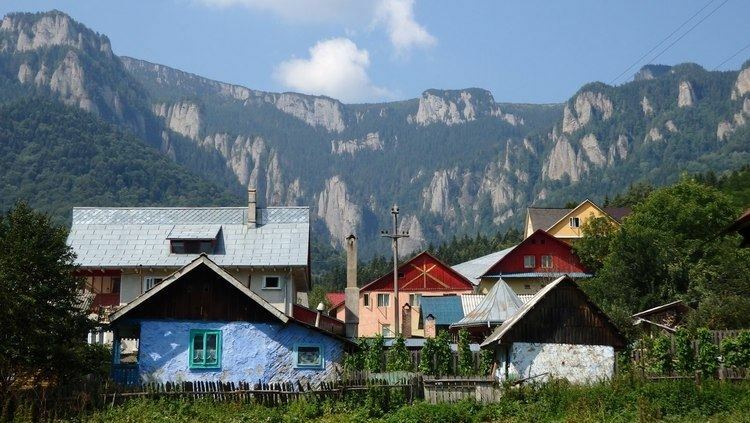 In the western part, there are mountains, the Eastern Carpathians, with heights of over 1800m and the impressive peak of Mount Ceahlău. Along the Bicaz River lies the canyon of Cheile Bicazului. Construction of the Bicaz Dam in the 1950s on the Bistrița River led to the formation of the Lake Bicaz (Lake Izvorul Muntelui), Romania's largest artificial lake. On the western side, the lowest point, at about 160m, is found along Siret River's valley. Iași County and Vaslui County in the East. Bacău County in the South. One of the greatest dams in Romania, the Bicaz Dam is built along the Bistrița River, forming the Bicaz Lake; the water of the lake is used for electricity production at Bicaz-Stejaru Hydroelectric Power Station. Neamț county is known as the region with the most monasteries to be found per square kilometer in the world. The monumental church of Neamț Monastery has been a model for Moldavian churches and monasteries. The Moldavian art style, of great originality and stylistic unity, was developed by blending Gothic elements with Byzantine motifs.